Jumanji as an adventure was about the high spirits of childhood innocence onto the conquest of defining themselves as morally ideal human beings, when it had Robin Williams in it. Dwayne Johnson’s Jumanji is mostly about taking pot holes and cheap shots at one another by cracking baseless jokes and humorless pop culture references. Last time Dwayne Johnson called himself an actor a sky fell from the galaxy on all the people who have actually learnt the craft. As a matter of fact he never got onto become Dwayne Johnson, he is still the rock with his blabbering mouth full of WWE insults and a body full of meat. Someone like him is primarily good for nothing when it comes to any genre of acting but the same applies to this film. Kevin Hart really needs to make a choice if he is a stand up comedian only on stage or in any role he has ever done because all he does is cracking up racial jokes which are older than time and his humor. 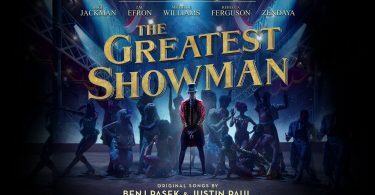 In the mix of this bunch we find Jack Black, who is literally the only saving grace in the film providing some laughs but he could only do so much. Plot of the film is taken directly from the earlier films except this time Jumanji is a video game instead of a board game. Bunch of teenager find themselves in the school detention room getting punished for their notorious activities and than they see this video game and as soon as they enter the start button they get sucked right into the game. All the kids get their game avatars and it’s now their mission to complete all the tasks of this game and than get back home. Screenplay and dialogue of this film are mostly dead in the inception of it but they did it nonetheless. Makers of this film are knights in shining Armour, who would not want to have their metal tested. Overall Jumanji is a sad attempt, pick the Robin Williams one again. 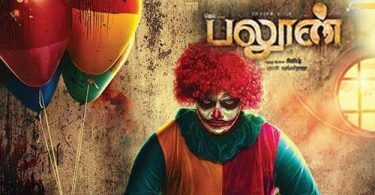 Balloon movie review: Rip off of IT, mic dropped! !